may we borrow your country reviewed by mint lounge and hindu in india. 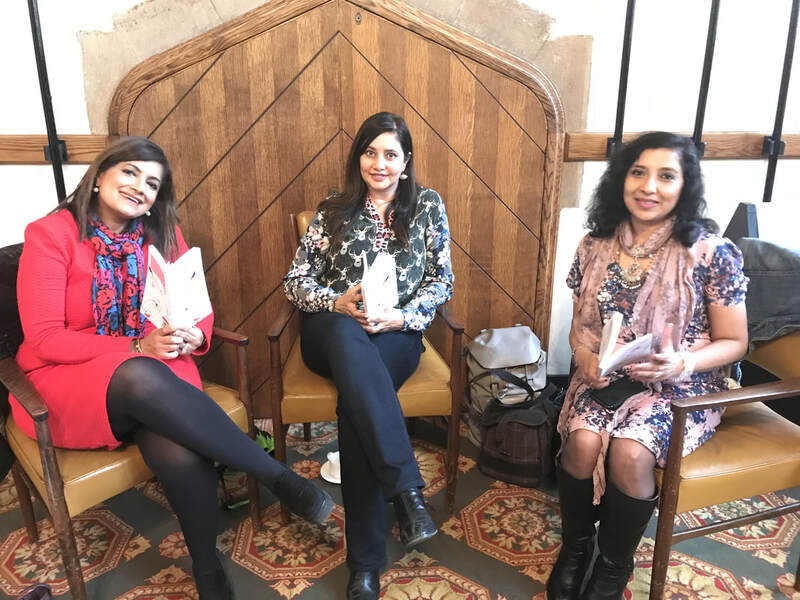 May We Borrow Your Country, The Whole Kahani's new anthology, published by Linen Press, launched at Waterstones, Gower Street, to a packed audience. Authors read their pieces to laughs and sighs. Preti Taneja, author of We That Are Young and winner of the Desmond Elliott Prize, 2108, along with publisher Lynn Michell led a thought provoking panel discussion and finally opened it up to the audience to fire away their questions. one more shortlist. this time for mona dash. The Whole Kahani members are going from prize to prize! Mona Dash has just been shortlisted for the prestigious SI Leeds Prize. 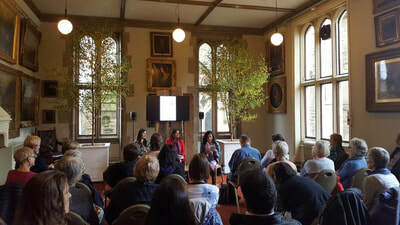 It awards unpublished fiction by UK-based Black and Asian women. Good luck Mona! ​You can hear Mona read from her work with the shortlisted writers at South Bank on the 23rd of October. We're delighted to announce our next anthology: 'May we Borrow Your Country' is going to be out soon! 'May We Borrow Your Country’ is a collection of stories and poems that looks at dislocation and displacement with sympathy, tolerance and humour. These pieces are peopled by courageous, poignant, eccentric individuals who cross borders, accommodate to new cultures and try to establish an identity in a new place. In the process, they encounter different versions of themselves, like reflections in a room of trick mirrors. They are evocative and multi-layered in their portrayal of relationships, family, ambition, careers and friendship. They offer a fresh, contemporary look at metamorphosis and many catch that fleeting moment of transition between the familiar and the new. The collection has found its home with the wonderful Linen Press. Look out for it in January 2019.
look out for twk member, catherine menon's debut short story collection 'subjunctive moods' this july. In Malaysia, a young girl discovers the seeds of friendship turning into love. A ghostly aunt causes more trouble than she’s worth, and a sea-monster yearns for her poolside home. Family secrets confound two widows in Northumberland, and a third turns to the sea for comfort. The stories in Subjunctive Moods are based around those tiny moments of missed connection and of realisation: the heartbeats by which we all grow up. Featuring CG Menon’s prize-winning writing alongside her most recent stories, Subjunctive Moods is a collection exploring the complexities of human relationships, cultural identity, and finding your way back home. 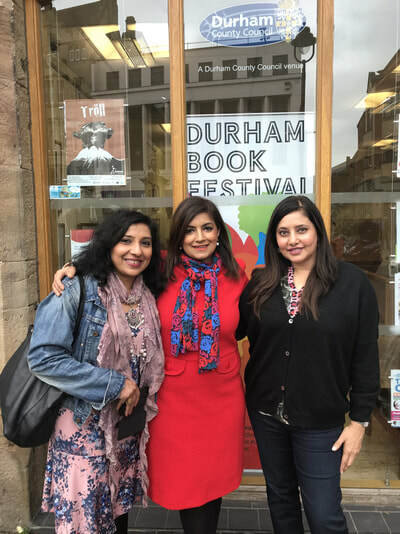 It was a lovely, sunny day to be reading from 'Love Across a Broken Map' at the Durham Book Festival. Here are some pictures from the day . It's the one year anniversary of the publication of 'Love Across a Broken Map'! And, the e-book is out just in time for it. We're so happy that we're offering free downloads of 21-23 July. So, go for it and spread the love. Download here. 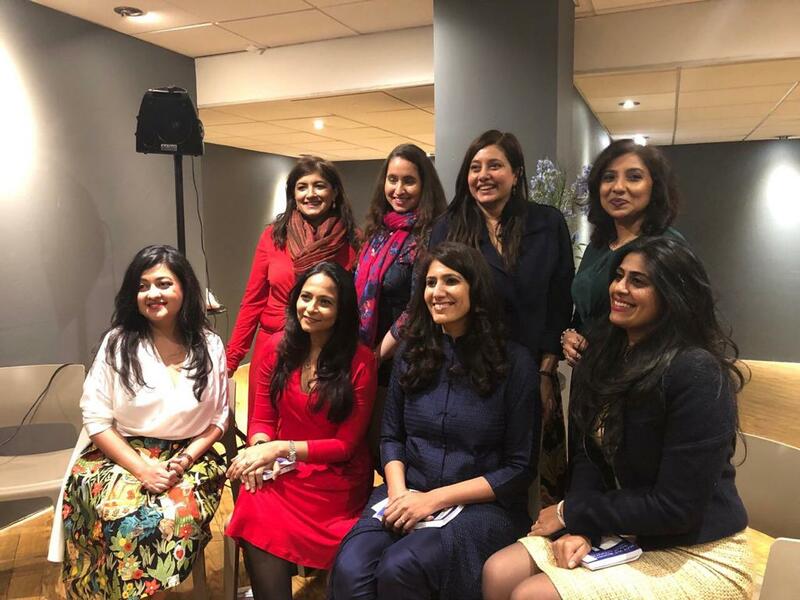 The Whole Kahani members, Reshma Ruia, Kavita Jindal and Catherine Menon had facilitated a creative writing workshop at the London School of Economics on the 25th of February. Hear the podcast here.